We all have been hearing about the importance of breakfast since our childhood, yet many amongst us, especially children and school going children skip their breakfast every day. Health experts, nutritionists, and dieticians – all have been emphasizing the importance of breakfast for good health and healthy living. Children need them more than anybody. Their growing body needs more energy and power to keep them active physically and mentally throughout the day. 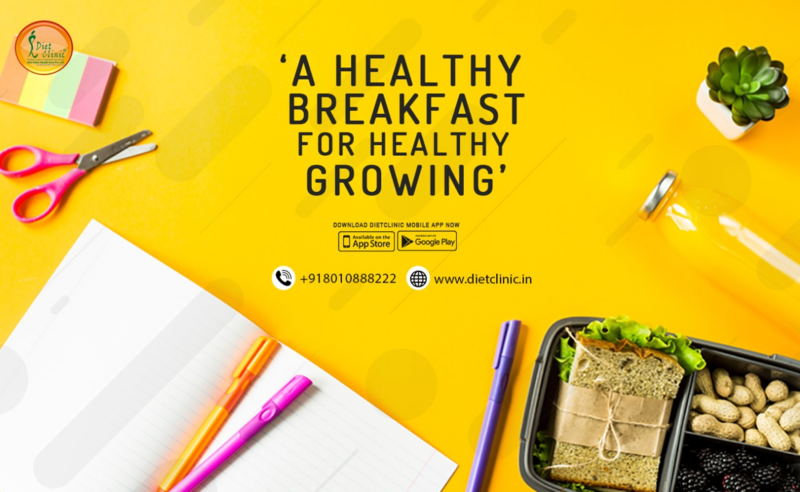 As per the best dietician and mentor of Diet Clinic, Sheela Seharawat - breakfast is the most important meal of the day and a healthy breakfast is just like fuelling your car for a day-long drive. It energizes the body, kick starts our metabolism, keeps us full, helps us avoid overeating during meals, keeps us away from hunger pranks and fatigue and what not. Having breakfast is so important and the same have been realized by society. Celebrating National School Breakfast Week allows school authorities, students, teachers and parents and as well other schools staffs to understand the importance of school breakfast. This event also keeps in mind and recognizes the school food staffs vital efforts in feeding school children with healthy breakfast. It reduces hunger and promotes wellness among school children. Improves academic and overall performance of school children. Improves behavioral pattern in children that may arise of hunger. Helps families to cope up with their kid’s nutritional needs.